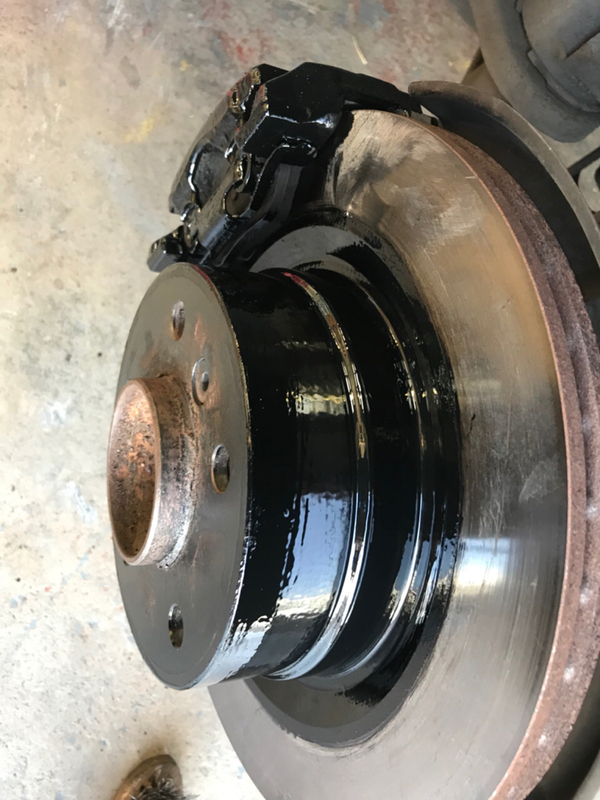 Hello peeps, I’m looking at upgrading my 2010 E82 125i 330mm front brakes to the 340mm M135i 4 pot calipers. I’ve not got £££’s to spend so standard pads and discs etc. I want them black (and without the //M sticker of course) so looking at buying the calipers above and doing the paint job myself. How easy and what do I need to make them a half decent job? 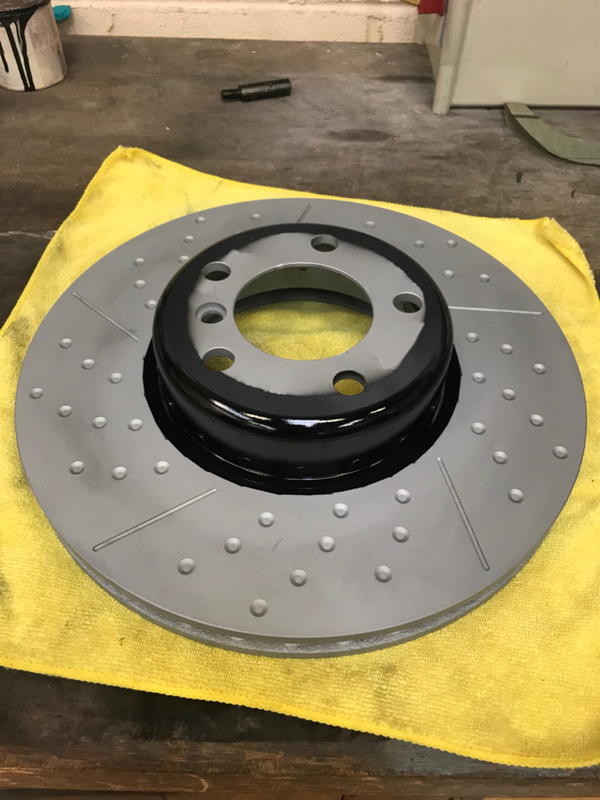 I’ve been recommended Mtec discs and M4 brake pads, anyone have a decent link to the right discs/pads? 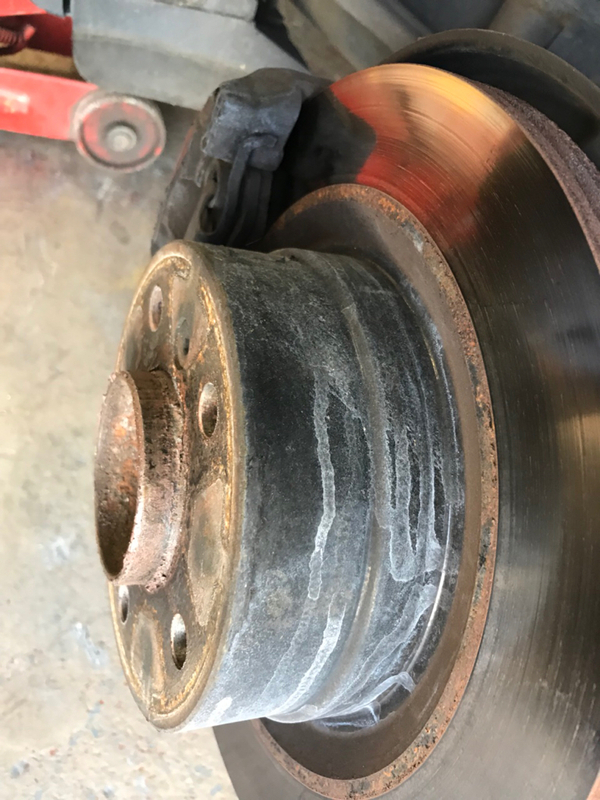 Brake wear sensor? Same as E82 or need a different one? Thanks guys for any advice/links you have. FInish depends how much work you put into the prep really, I gave mine a light sandblast to remove previous owners yellow paint and key the surface for new paint, came out quite well considering it was a pretty quick job, they have got a bit marked but easy enough to touch up. Discs and pads wise avoid drilled discs if going on track and pads then M4 are a good allrounder for road/mild track use. Last edited by THETYRANT on Tue Jul 24, 2018 3:02 pm, edited 1 time in total. I can vouch for M tech, used them on my 135i for the first time 2 years ago, never looked back. Was sceptical due to price but very impressed! Not sure about the paint but the more prep you put in now the better the finished result will be. Hmmm that’s going to add another £150 to my already tight budget. Just waiting for HT clear coat and they’ll be ready to go on. Again, waiting for clear coat. Hopefully in next couple of weeks I’ll have them fitted. Hi Twenny, where did you buy the discs from? 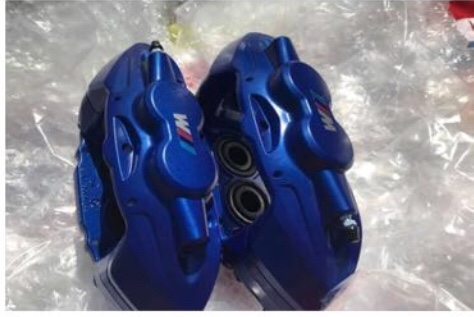 I might be upgrading the sticky OEM calipers on my E87 to M135i items shortly. Looking forward to seeing how these look on your car. jonwilli wrote: Hi Twenny, where did you buy the discs from? 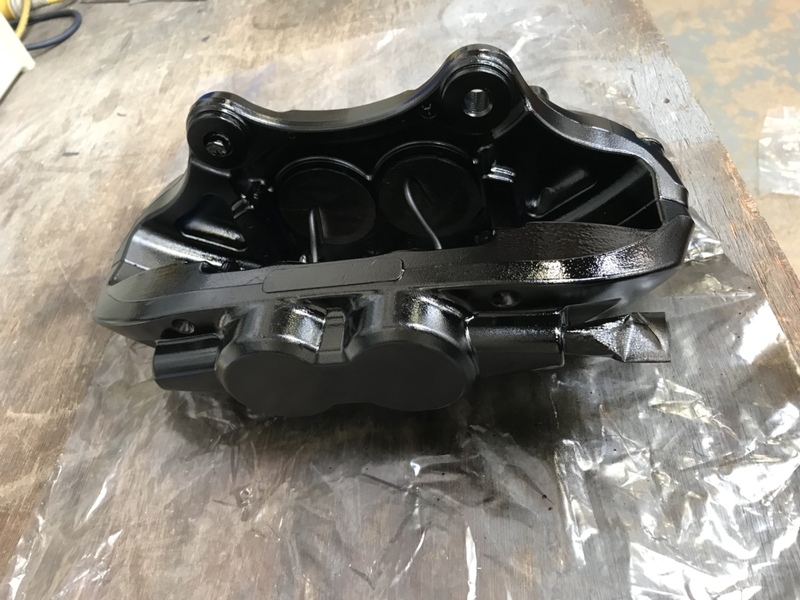 I might be upgrading the sticky OEM calipers on my E87 to M135i items shortly. Looking forward to seeing how these look on your car. I did find £30 cheaper somewhere on another eBay advert but can’t find it now.